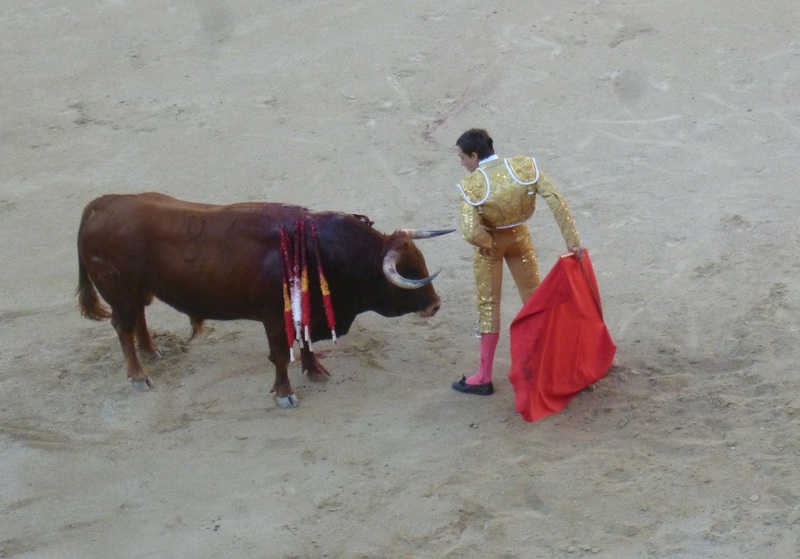 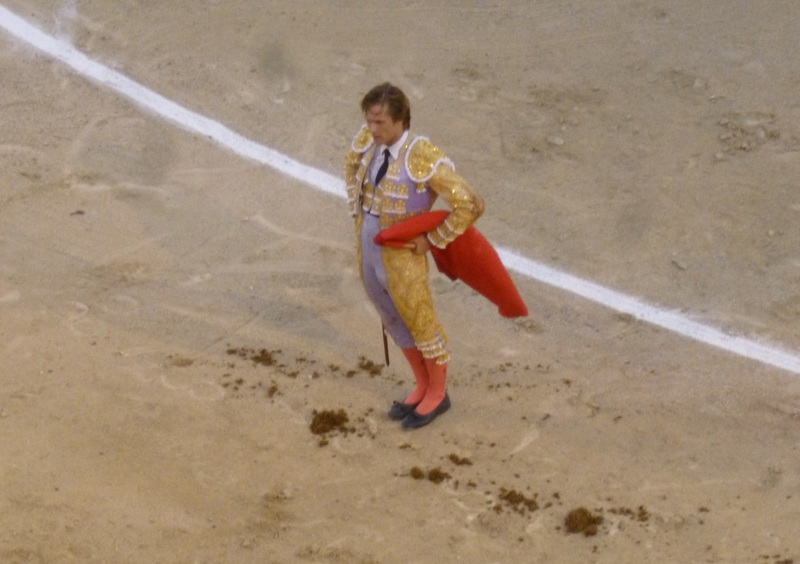 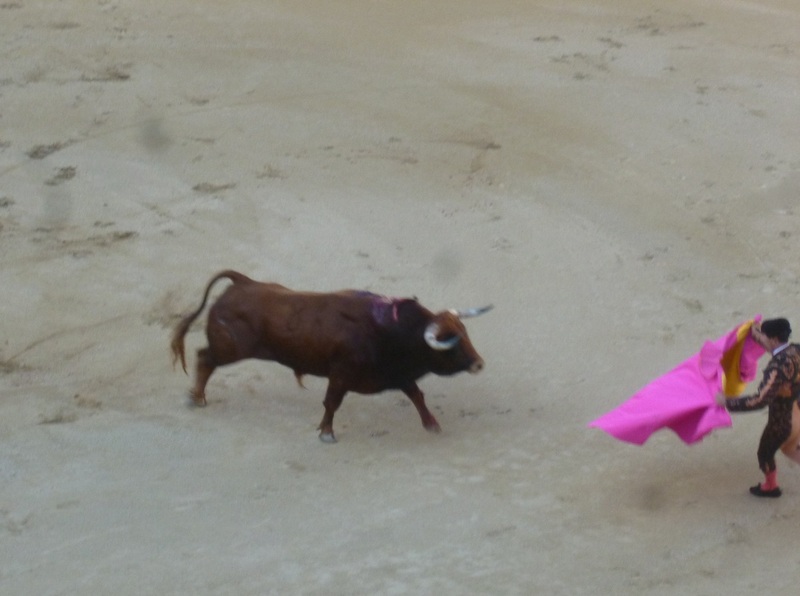 OK, guys, please don't give AlteCocker a bunch of stuff about going to a bullfight. Yes, it is gruesome. No way AlteCocker would give it a second shot but, like it or not, it is part of Spanish culture and AlteCocker was there. 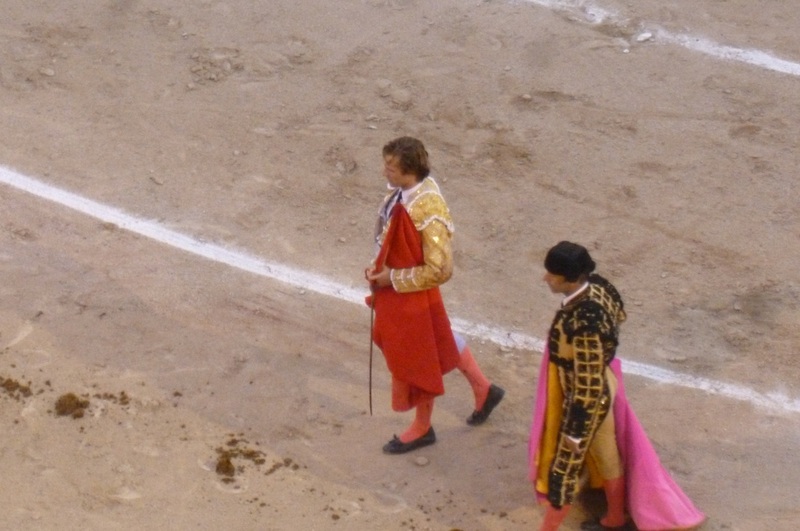 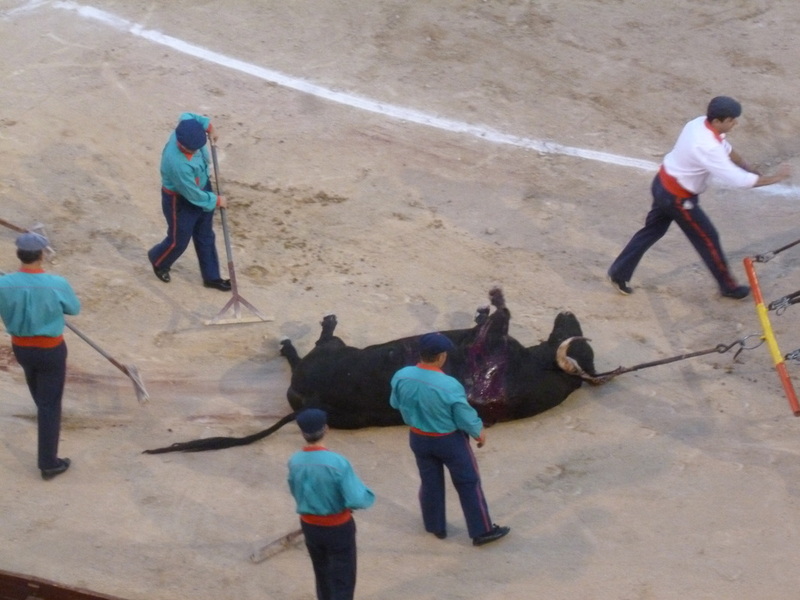 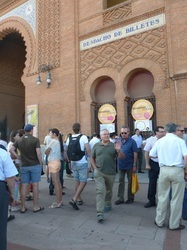 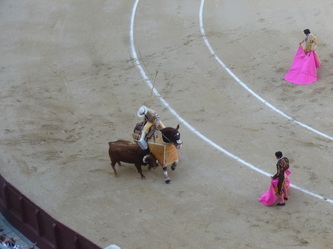 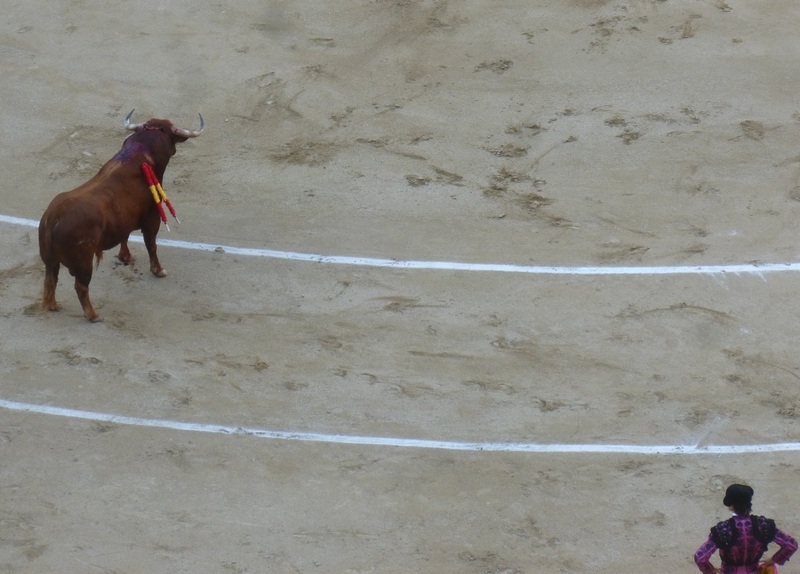 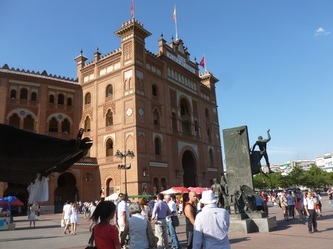 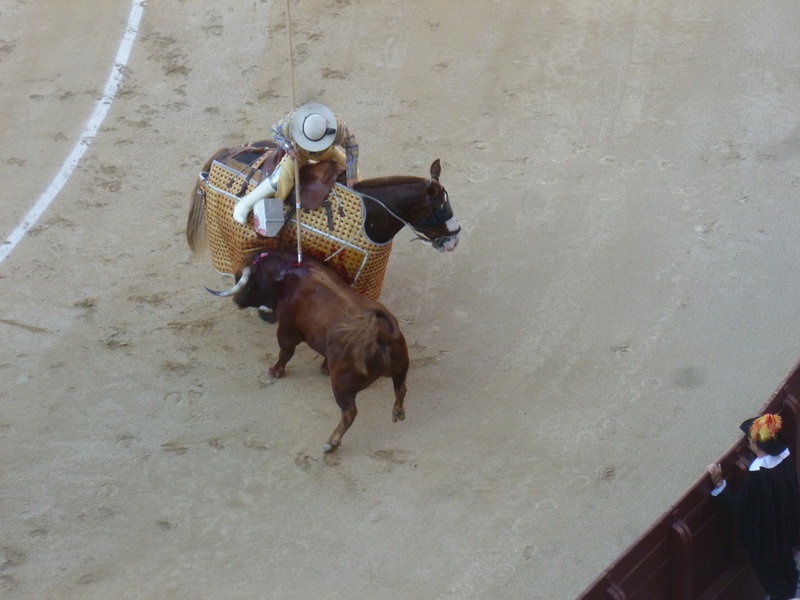 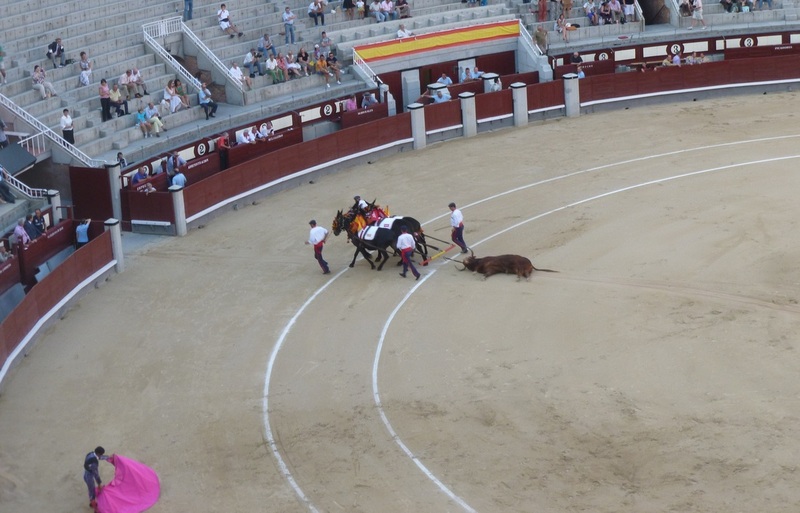 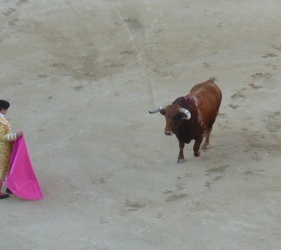 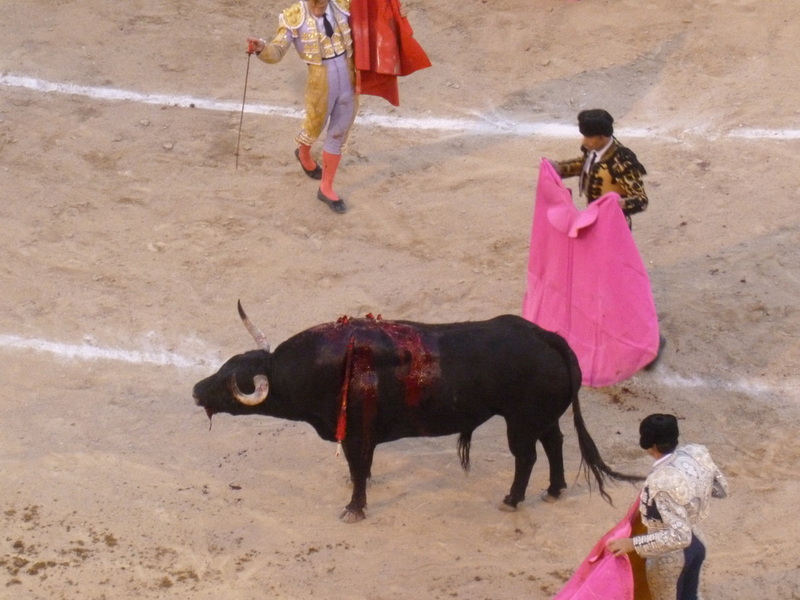 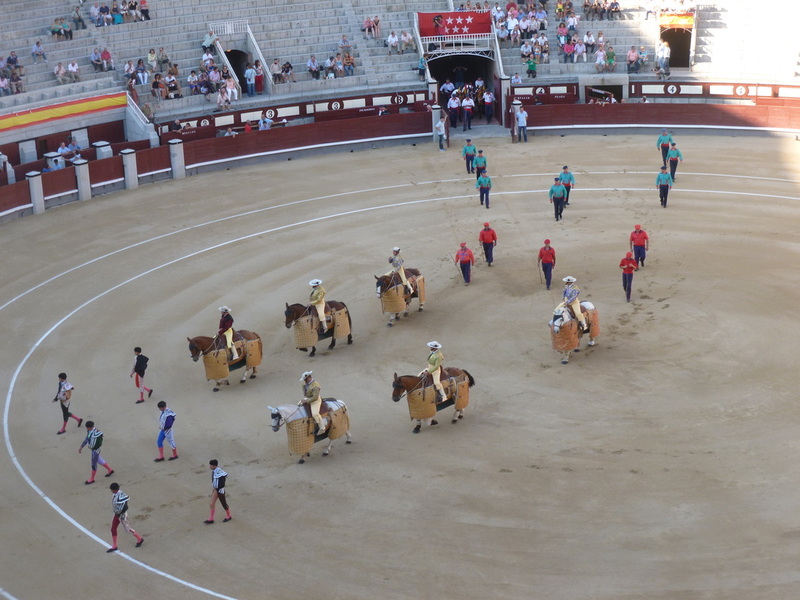 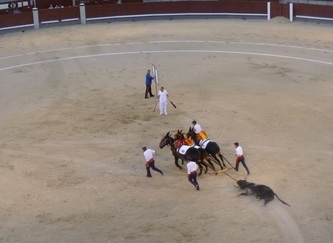 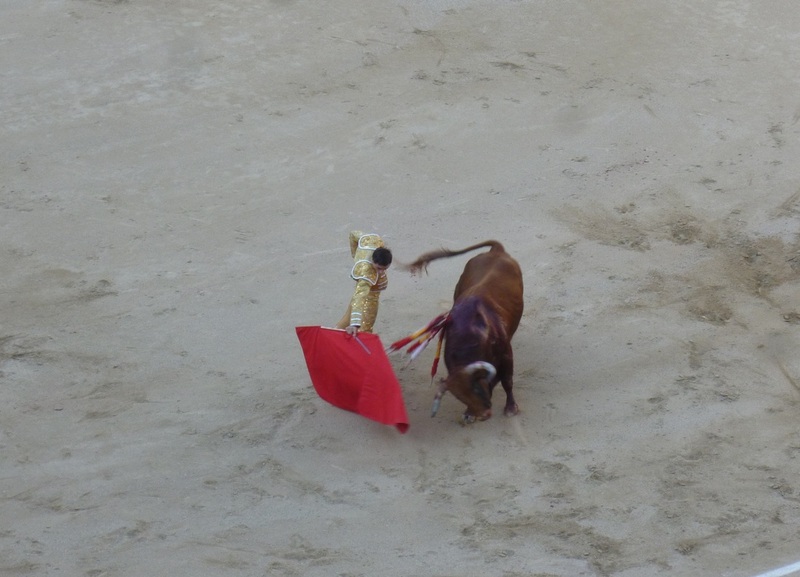 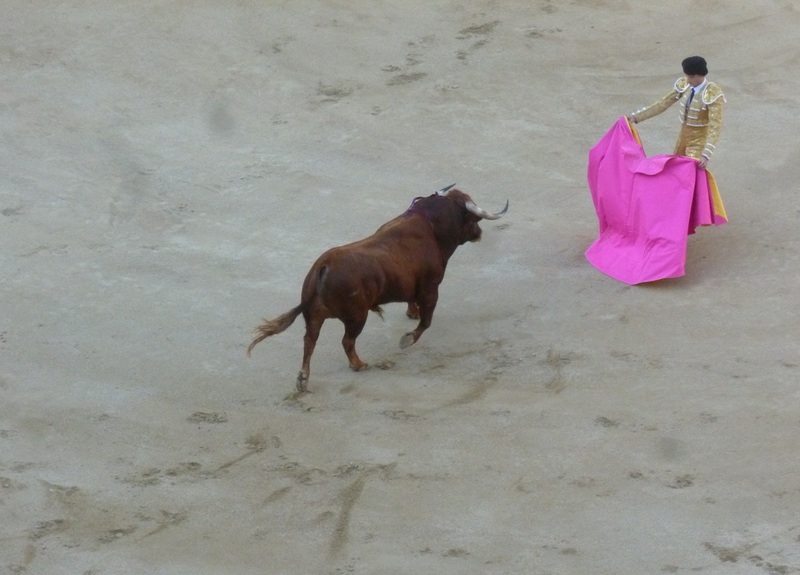 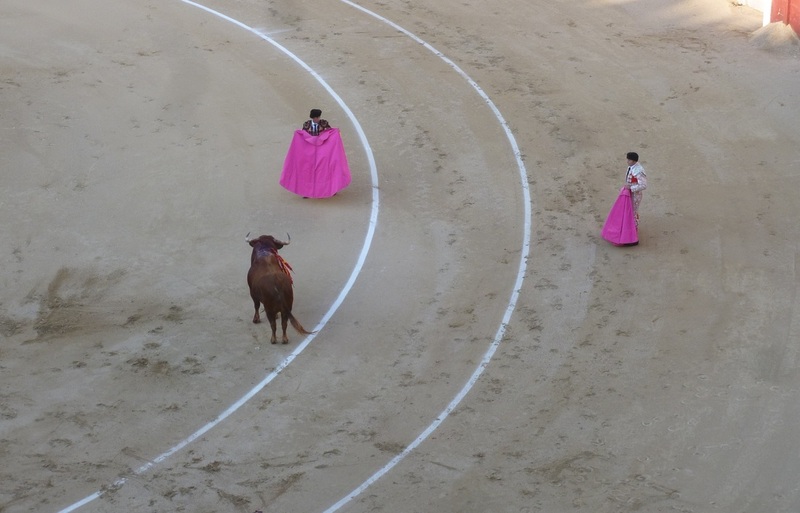 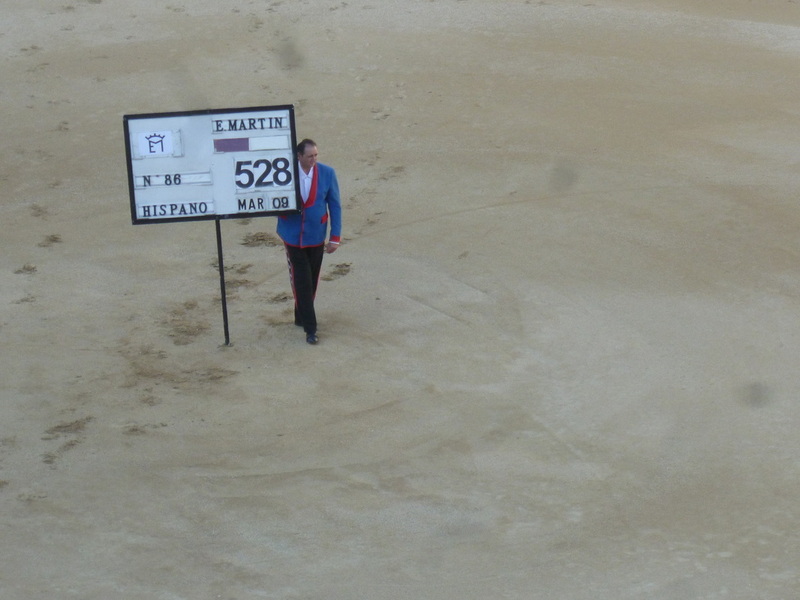 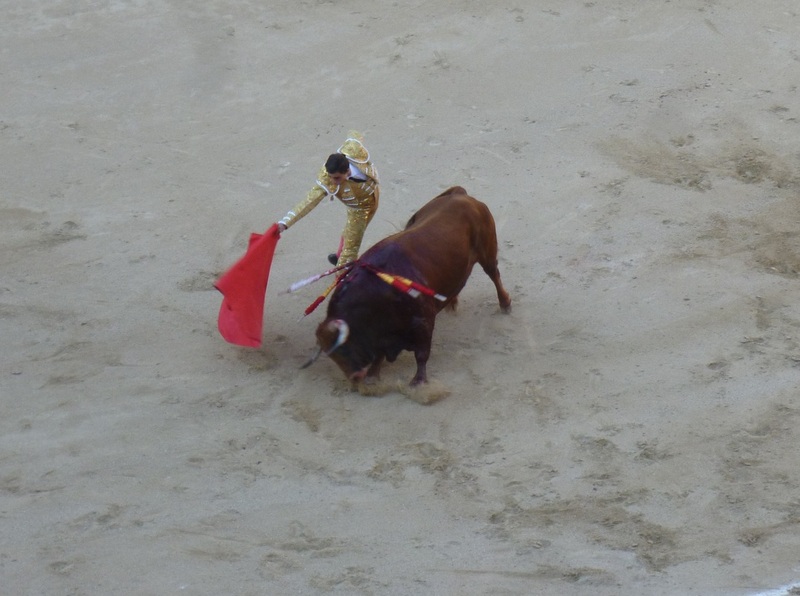 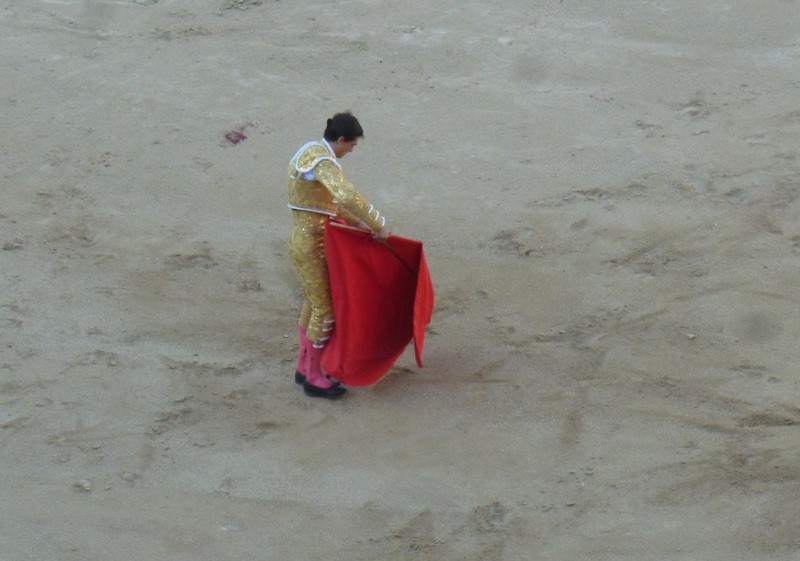 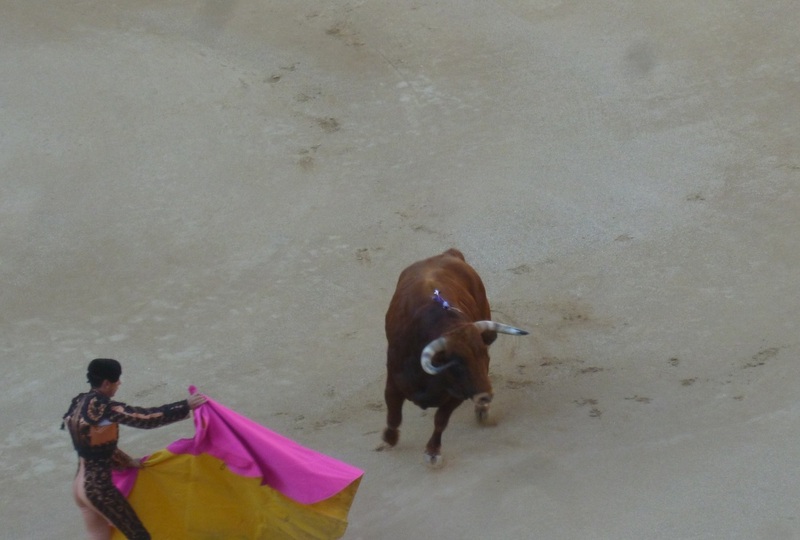 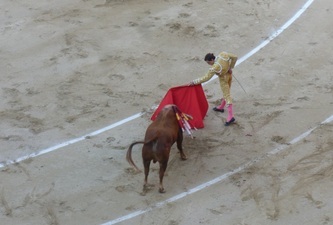 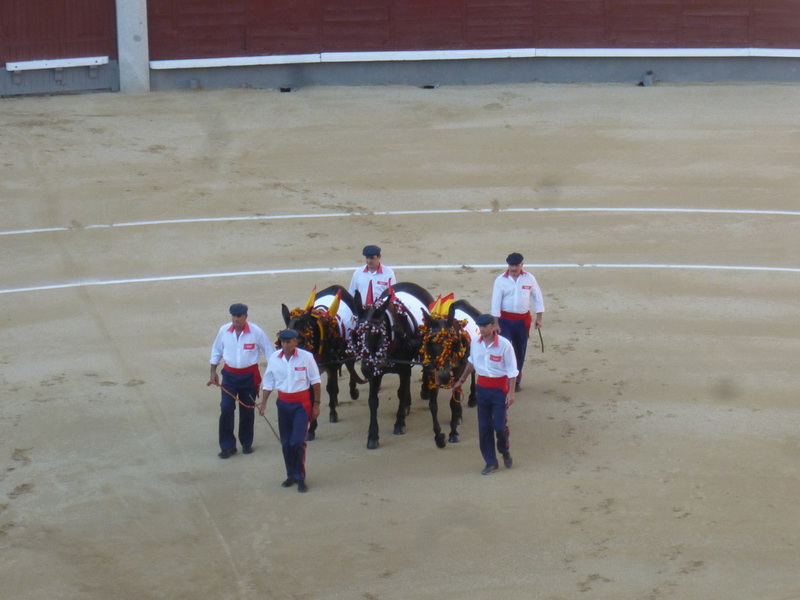 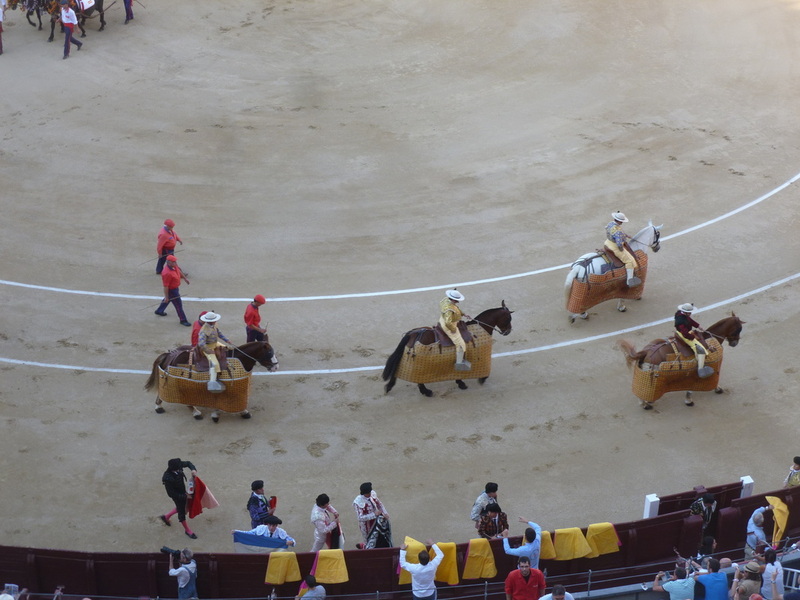 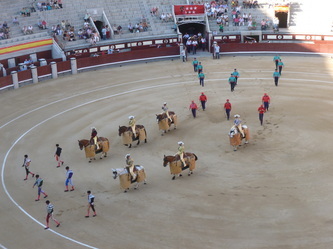 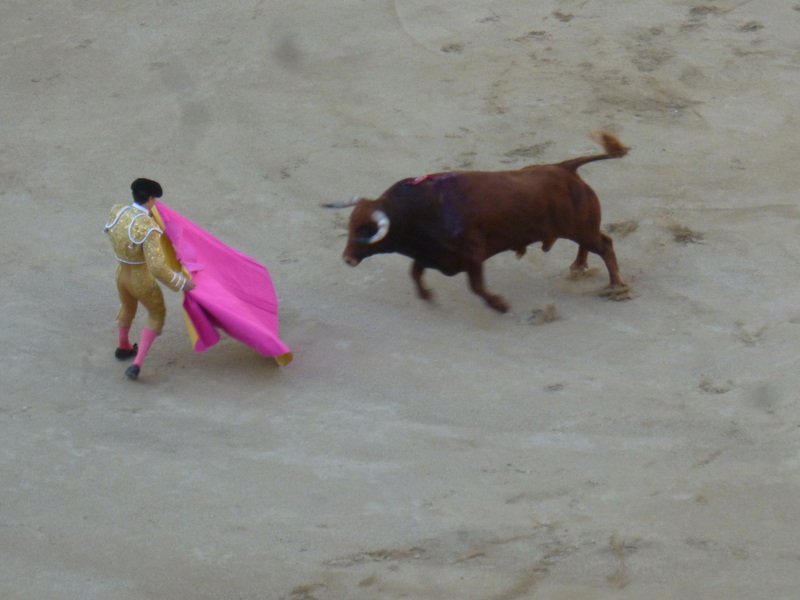 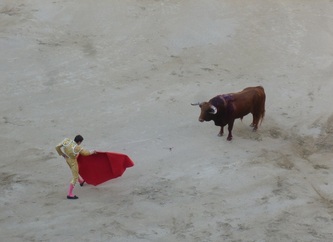 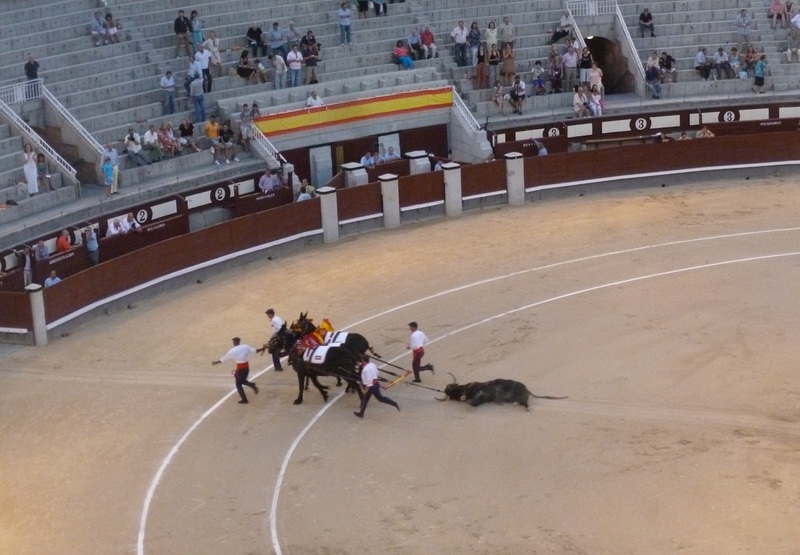 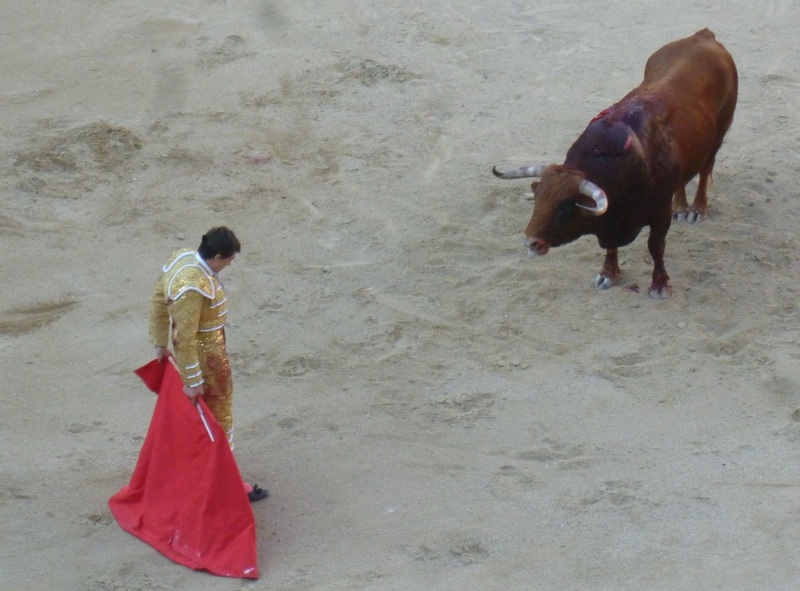 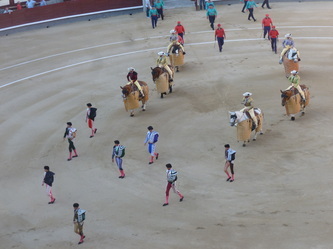 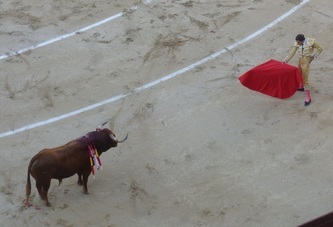 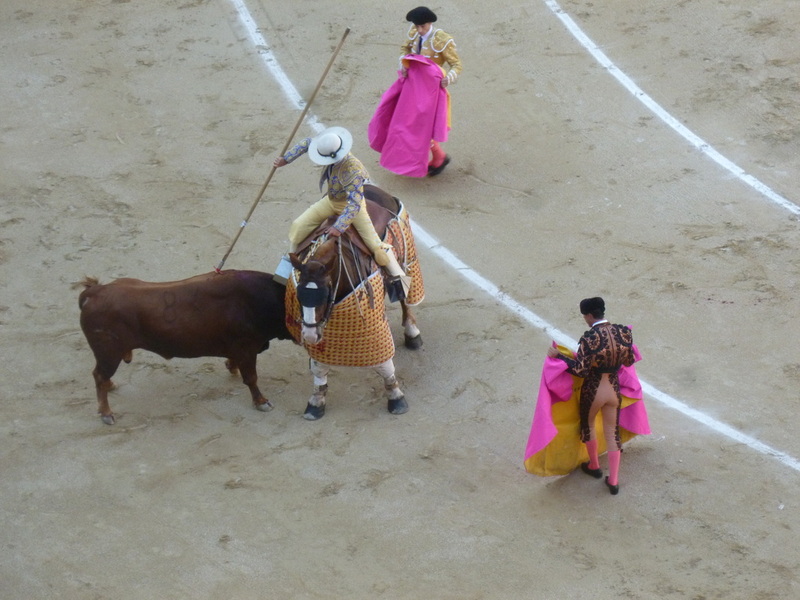 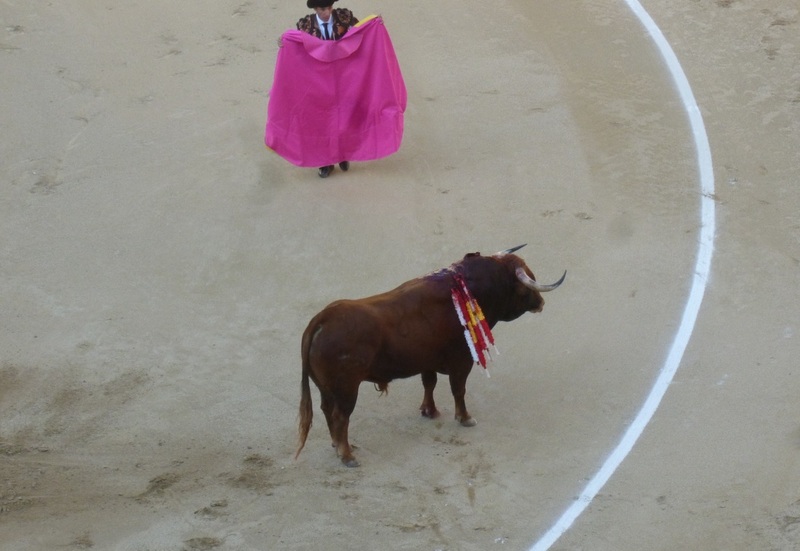 Bullfights are held on Saturdays once a week at the Ventas Arena in Madrid during the tourist season. AlteCocker's take on this is it is supposed to be the killing of a bull with style. 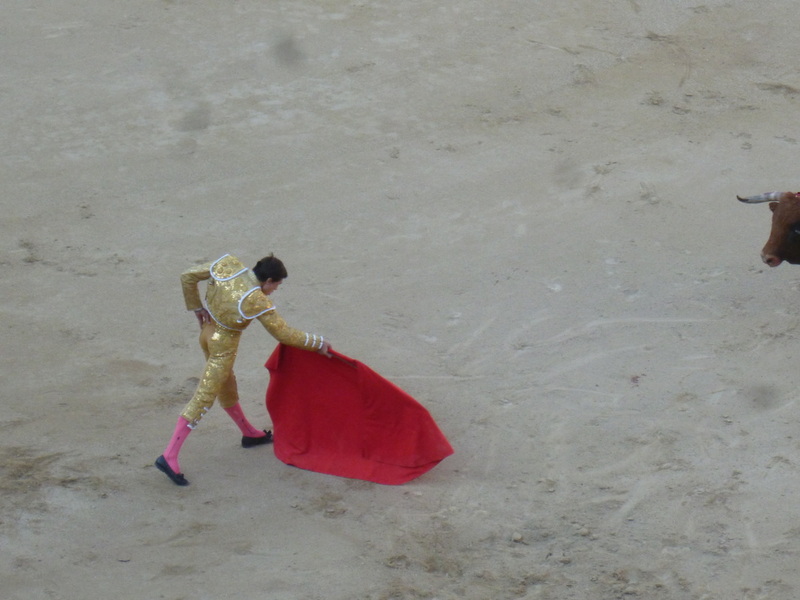 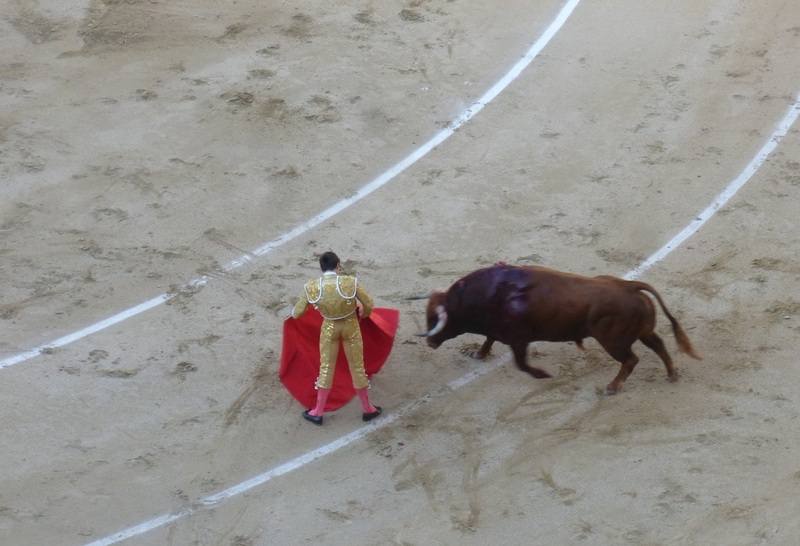 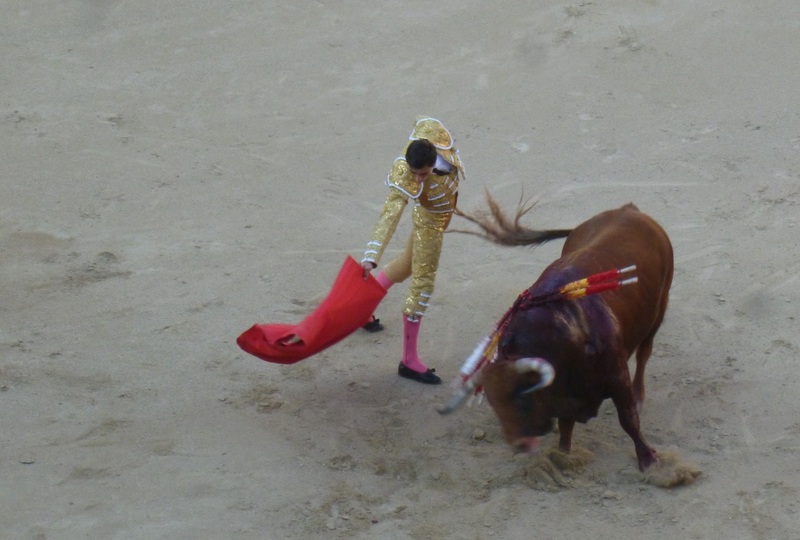 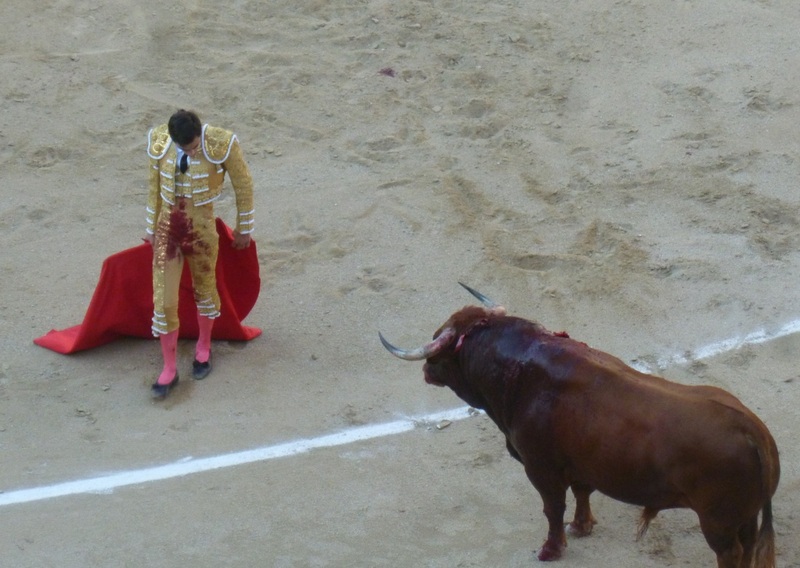 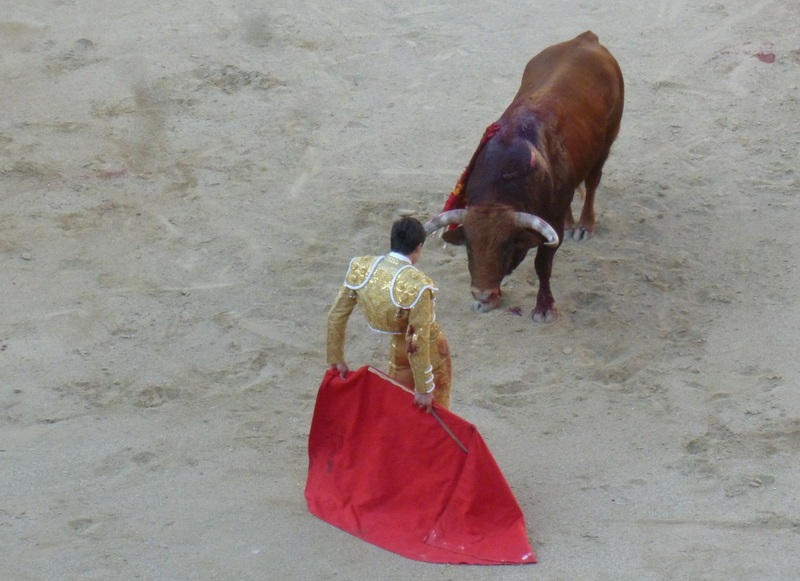 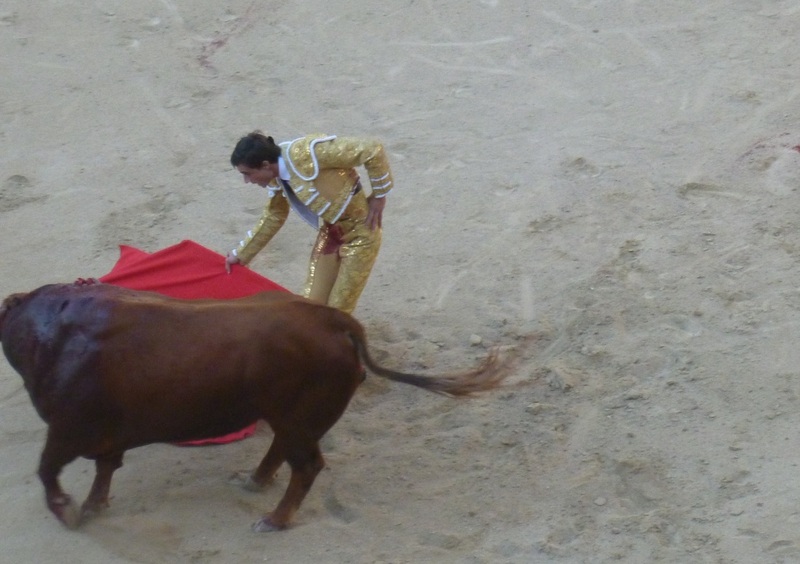 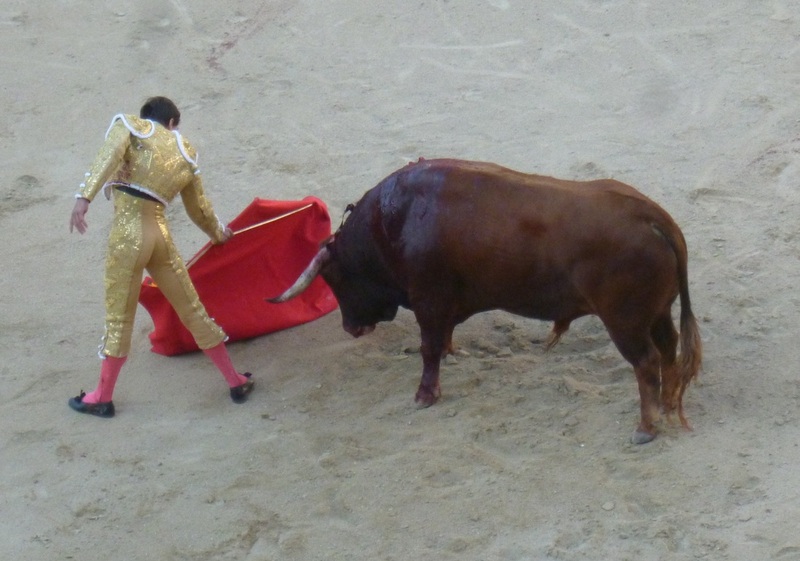 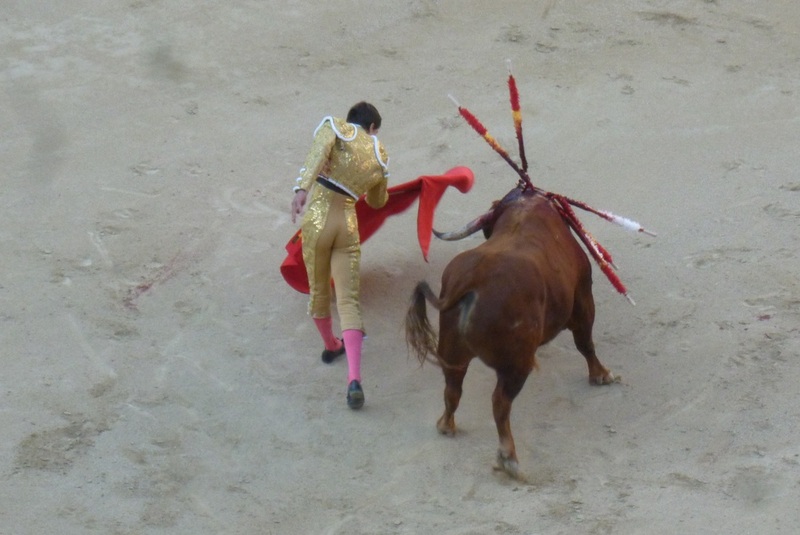 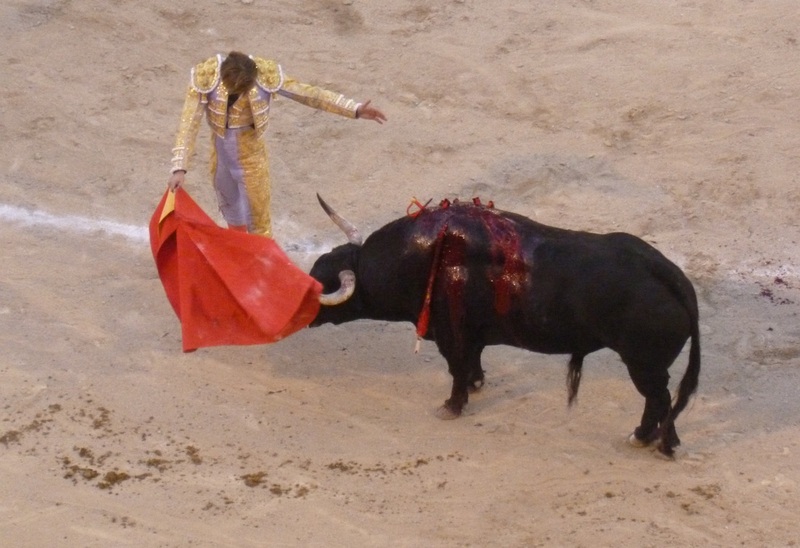 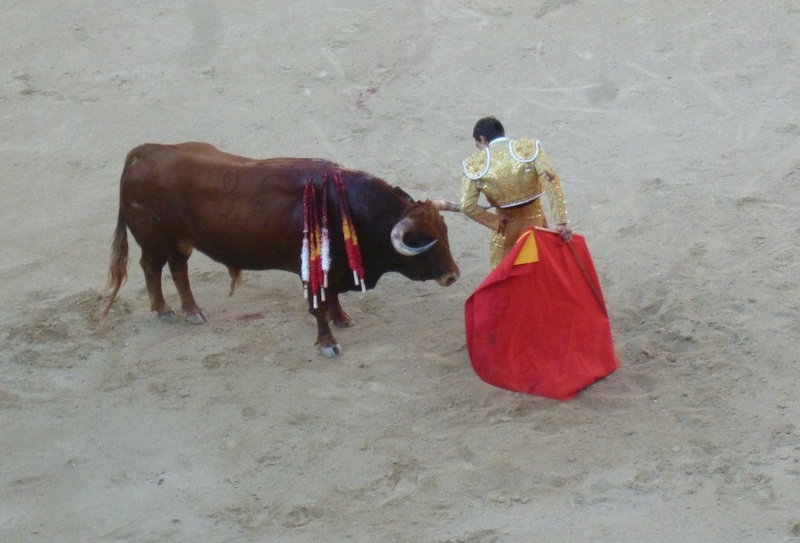 When the matador gives the bull the coup de grace (and the bull always dies), it is supposed to be an immediate death, but it isn't always. Sometimes it is the slow torture of an animal to death with a foregone conclusion. Personally, AlteCocker does not know how this qualifies as "sport". 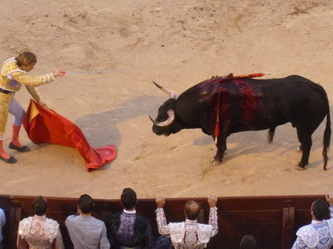 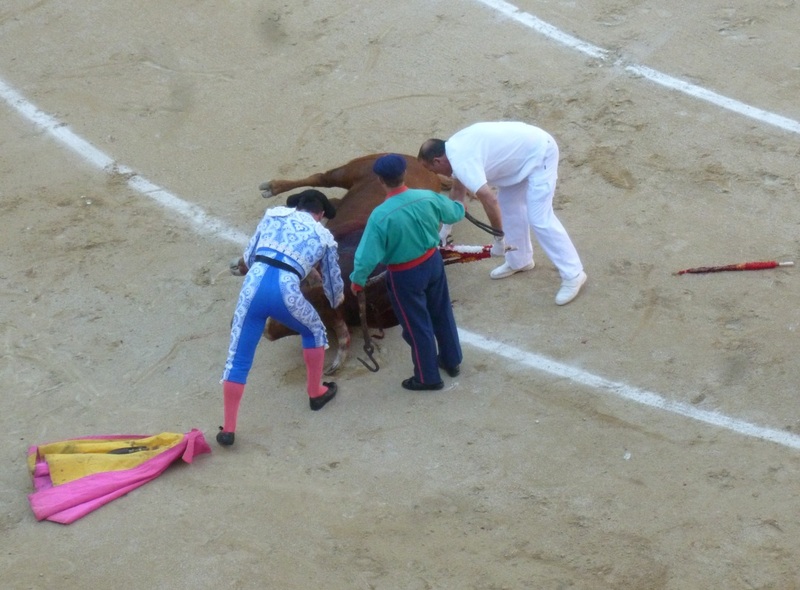 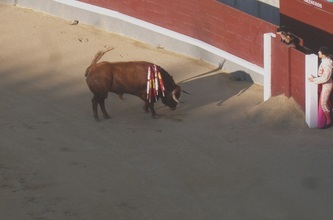 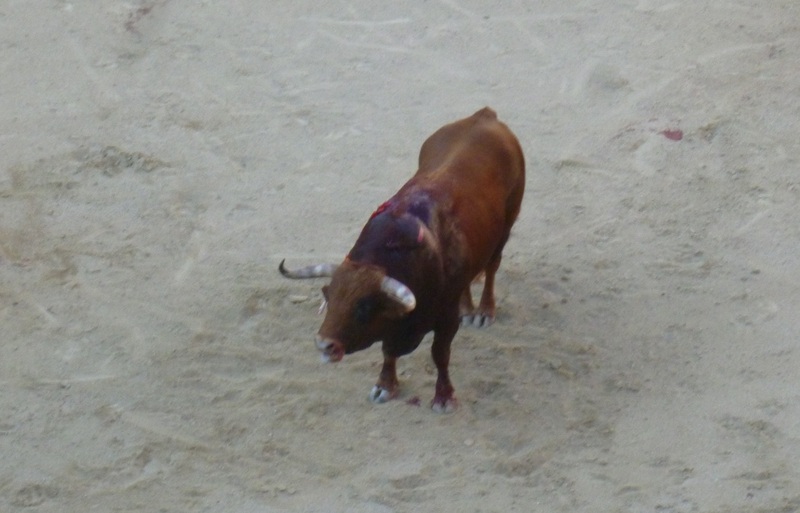 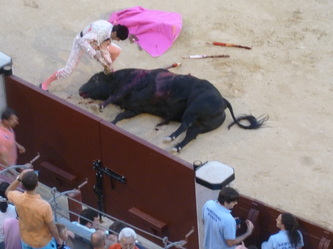 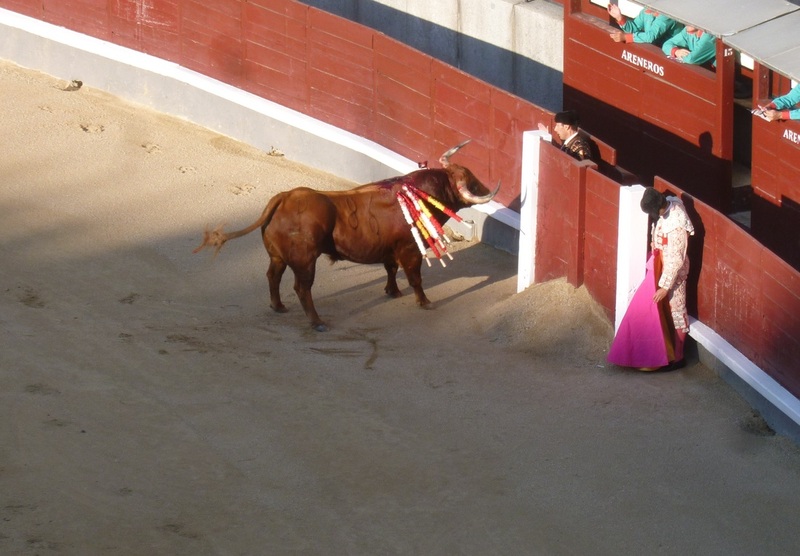 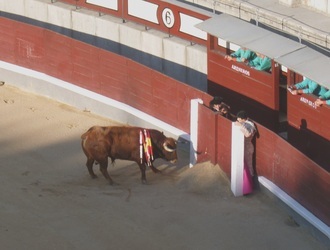 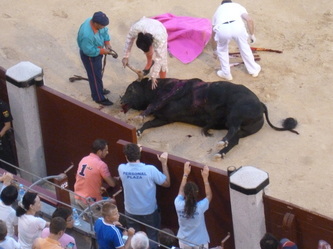 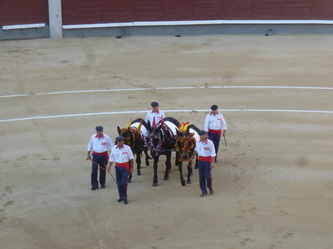 AlteCocker remained at Ventas for 4 bulls. 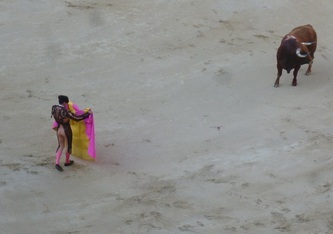 She left after that--even though there were more bulls to come. 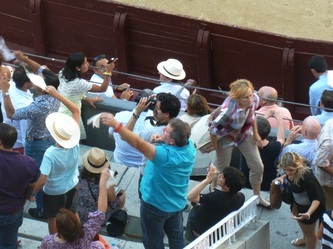 She had just about the cheapest seat in the shade so the photos were taken from quite high up with her normal mediocre equipment. AlteCocker does not bring any cameras that cannot fit in her pocket.